MLNP: Scene Sundays goes BIG!! 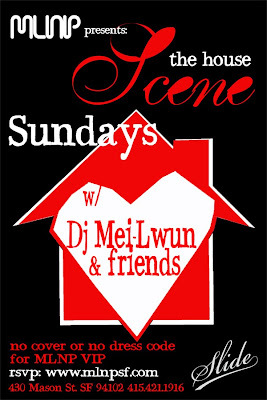 Join MLNP this Sunday for a special SCENE with Djs Solarz, Cams, Nima G. and your resident and host Dj Mei-Lwun. Nadia Patel , Trevor Hewitt, Brendan Coen and Mughen will be kicking it with their friends for a helluva SCENE!! The guest list is already filling up so make sure you're an MLNP VIP.